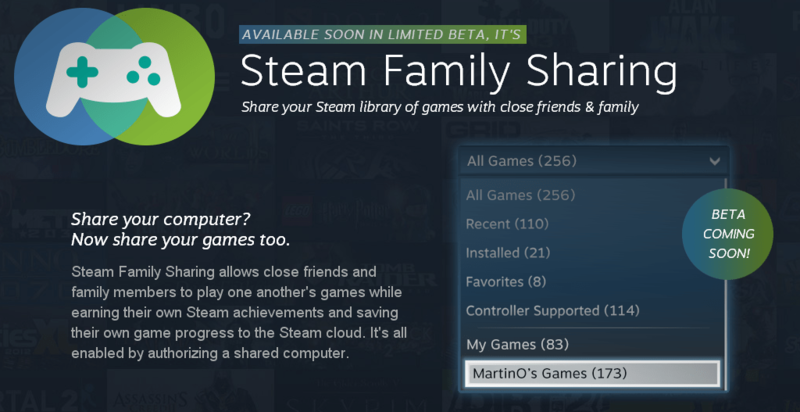 sharing is caring, and now Steam surprisingly announced that you will soon be able to share your games with a family or friends. Of course the number will and should be limited but that’s more than enough considering each can get his own achievements and cloud saves. Good move Steam.